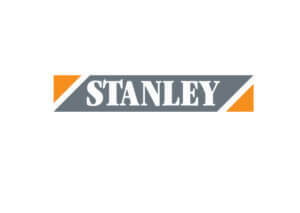 Stanley Handing Ltd was founded in 1948 by Norman Stanley and his wife Matilda. Starting as a family business, the couple ran the company from their home in Hertfordshire, England. As a keen salesman, it was Norman’s discovery in the late 40s that led to the pair selling their first range of Hydro Trucks. He had discovered there was a gap in the UK market for forklift trucks, even more so after the world war. This was a pinnacle moment as Norman Stanley decided to take the plunge and invest in these trucks to sell on. The couple had remarkable success buying and re-selling the trucks, even using their boat trailer to deliver the machines personally. As time went on their sons Peter and Robert joined the family business, each bringing with them a passion to grow the company in other areas, such as service and maintenance as well as training. By doing so Stanley cemented its position as a strong market leader in the material handling industry, providing the complete solution to the trade. During the 1970’s Stanley secured manufacturing relationships overseas and went on to introduce the Robur brand. By doing so, the company offered an extensive range of bespoke handling trucks including forklifts, stackers, work positioners and specialist handling equipment. Stanley/Robur had a unique offering with a selection of configurations and applications for the trade to choose from. As years passed, Stanley/Robur became a household name to the trade. If you needed a truck – even a specialist truck specified to your needs – we were the people to call. Still going strong with the Stanley/Robur brand, it was time to broaden our horizons. By all means we remained a customer-focused company, delivering all kinds of solutions. If one of our customers approached us with a problem, we would find or design the machine for the job. For this reason, the Stanley Stairclimber portfolio was born. It was in 1985 that a famous beverage company approached us to find a solution for shifting their large vending machines weighing 320Kg. Robert Stanley, now standing Director for the company, found the solution to their problem. It was he who discovered powered stairclimbers and secured one of the most important and long-standing partnerships for the company to date. Now at 32 years, Stanley Handling are the largest European distributor for PowerMate stairclimbers, offering a bespoke material handling solution for not only the trade but consumers too. Since that time, Robur and Stanley have separated and now operate as two companies rather than one. 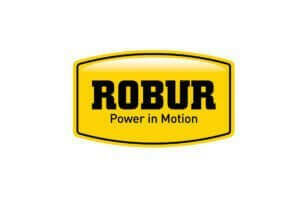 The main reason for this is Stanley became renowned for Stairclimbers whereas Robur was the brand for specialist trucks. 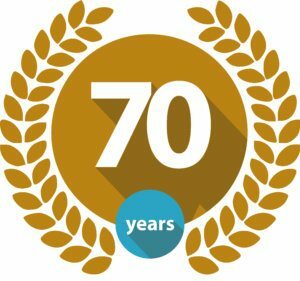 As Stanley approaches its 70th birthday, we reflect on our rich history and our motivation to develop products and other business areas. Now more than ever is an exciting time for Stanley, as we have introduced our first line of mobility wheelchair stairclimbers along with an extensive catalogue of storage systems, including shelving, racking and lockers. Our company ethos focuses around safe handling, be it materials or people. We strive to change lives for the better and we are confident our new business areas will deliver a bigger and better service to the trade as well as consumers. For more information on our comprehensive solutions, click the division buttons below.